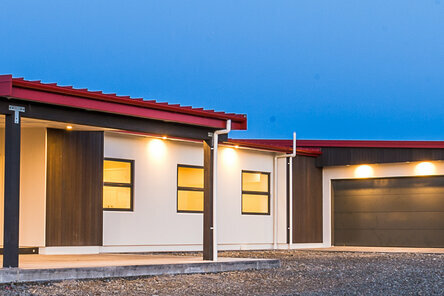 Modern architecture in a rural setting makes this eHaus stand out. 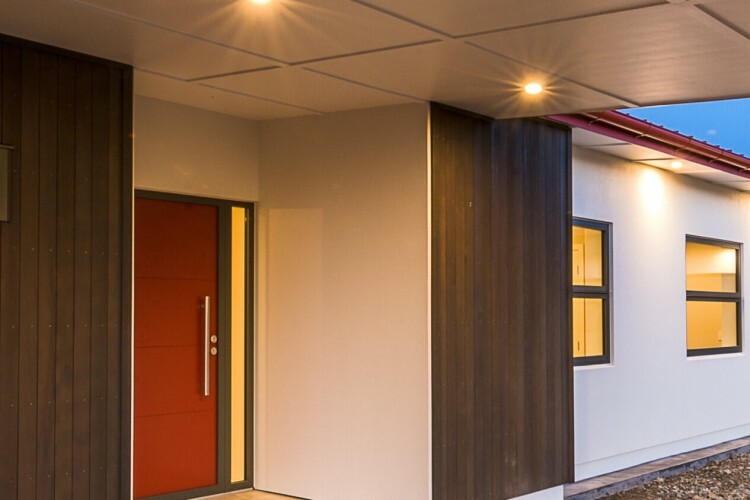 It is a beautifully finished family home that provides space for the everyone. With three Bedrooms, two bathrooms, office, separate living/media, wet room and even a pet room. This home is designed for the whole family to enjoy all the country offers. In addition it also has an attached annex (self-contained flat) with an en-suited bedroom for visitor. 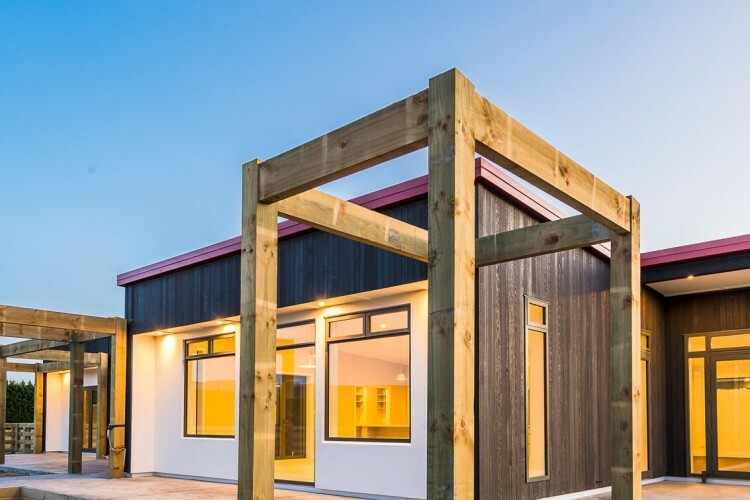 The Design brief was simple – “we want it to look like renovated, early-NZ stables” – hence the shape of building with three barns joined together. Pioneer red was chosen as accent colour to take it back to traditional roots. This property faces North-East, to give views over paddocks, horses and foals on the property, the windows and doors in the open plan living area have been designed to frame these views. The client also wanted an easy care finish with low maintenance. 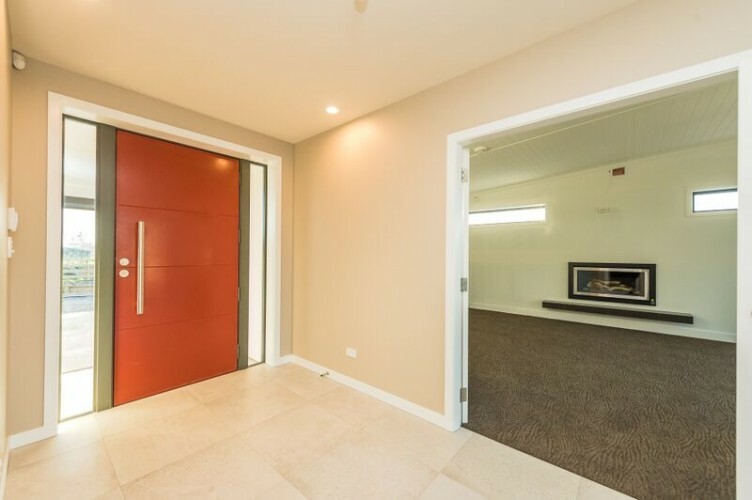 Heating/Cooling – Underfloor heating in kitchen living area & gas fire in lounge.